Drifter bits manufacturers in India - SVE Drilling Tools Pvt. Ltd.
Our method involves a combination of CNC Machines and Special Purpose Machines with flexibility. This ensures high production rates, consistent quality, quick changeover time and competitive rates. Our main motto is to achieve a good quality of the products and reduce the rejection rate by adopting practices like operational wise inspection and final inspection procedures. Our continuous R & D has ensured a very long and efficient working life for our products and this has truly helped us and given the very strong brand name. Our dedicated R&D Team is constantly working on improving production efficiency and giving cost-effective solutions to benefit our end users. Our Manufacturing machinery consists of High-end precision CNC’s and lathe machines and other finishing operation machines, which gives process consistency and quality to the products. Our process is of international standards, contemporary thoughts and decades of experience are driving the organization with modern technology, state-of-the-art design, competent manufacturing and installation, ensure fulfillment of relevant metallurgical requirements. The heat treatment plant is on par with any similar system anywhere in the world. The aim of SVE’s research and development (R&D) activities is to enhance customers' productivity, reduce their environmental footprint and improve their work environment. R&D projects are assigned high priority in the organization, have a strong product focus and include metallurgical research, metal cutting, and development of production equip equipment and technology and production processes. SVE invests the majority of its profit share, for its R&D activities and planning to take up intellectual property rights soon. SVE’s major focus is to develop solutions for mining operations in the areas of drilling, crushing and rock cutting, along with addressing the needs of water well drilling. The focus of product development is on safety, energy utilization, and cost efficiency. 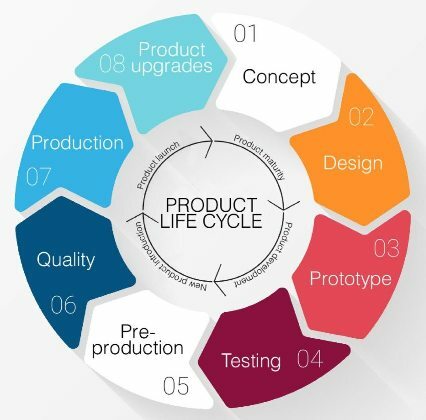 Driving forces a shorter product development cycle, reduced cost and energy usage, product safety, environmental and health conditions, operational reliability and expanded offering to new market segments outside the premium area.